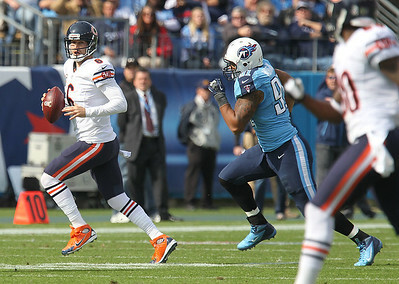 H. Rick Bamman - hbamman@shawmedia.com Bears Jay Cutler scampers away from the Titans' Derrick Morgan in the first quartrer Sunday November 4, 2012. 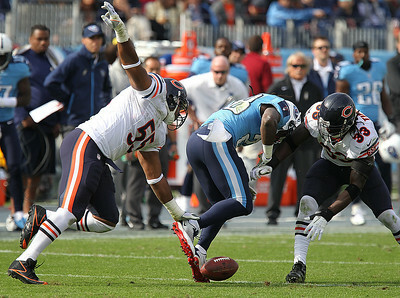 H. Rick Bamman - hbamman@shawmedia.com The Bears' Sherrick McManis blocks the Titan's Brett Kern's punt early in the first quarter in Nashville Sunday November 4, 2012. 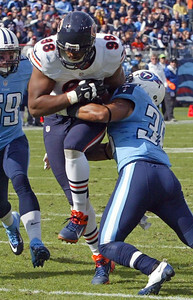 H. Rick Bamman - hbamman@shawmedia.com Bears' Corey Wootton grabs the Sherruck McManis blocked punt for a touchdown early in the first quartera gainst the Titans Sunday November 4, 2012 in Nashville. 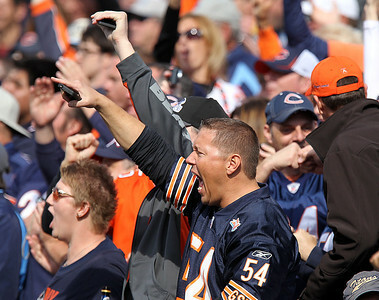 H. Rick Bamman - hbamman@shawmedia.com Bears's fans react in the first quarter Sunday November 4, 2012 in Nashville. 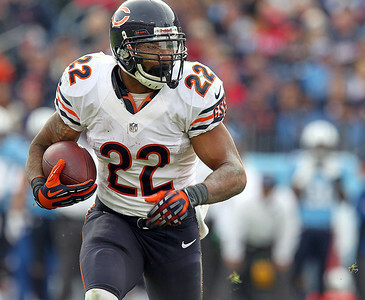 H. Rick Bamman - hbamman@shawmedia.com The Bears' Matt Forte runs for a first down against in the third quarter against the Titans Sunday November 4, 2012 in Nashville. 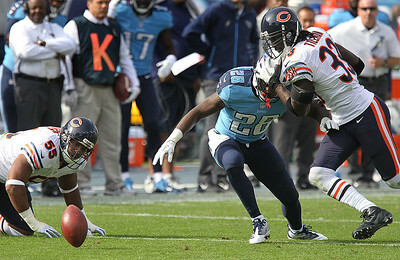 H. Rick Bamman - hbamman@shawmedia.com Tennessee Titans' Jamie Harper tackels the Bears' Devin Hester after a long punt return late in the first quarter Sunday November 4, 2012 in Nashville. 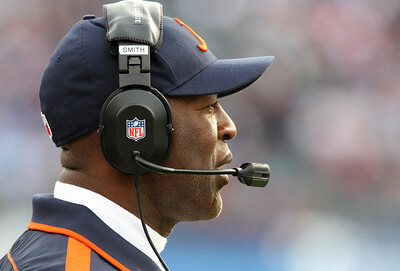 H. Rick Bamman - hbamman@shawmedia.com The Bears' Lovie Smith on the sidelines against the Titans Sunday November 4, 2012 i. Nashville. 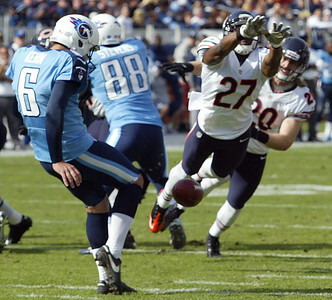 H. Rick Bamman - hbamman@shawmedia.com The Titans' Matt Hasselbeck is sacked by Israel Idonijie (right) and Stephen Paea late in the first quarter in Nashville Sunday November 4, 2012. 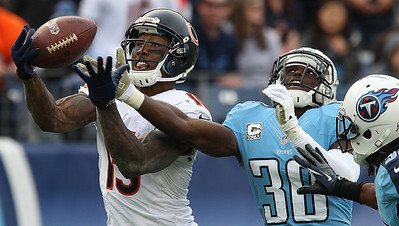 H. Rick Bamman - hbamman@shawmedia.com The Bears's Brandon Marshall snags a Jay Cutler pass past Titan defenders Jason Mcourty (30) and Michael Griffin (33) in the fourth quarter Sunday November 4, 2012 in Nashville. 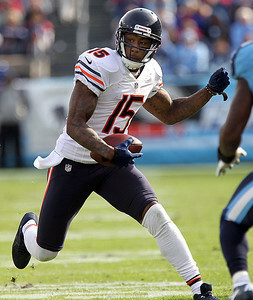 H. Rick Bamman - hbamman@shawmedia.com The Bears's Brandon Marshall runs for a first down after catching a Jay Cutler pass late in the first quarter against the Titans Sunday November 4, 2012 in Nashville. 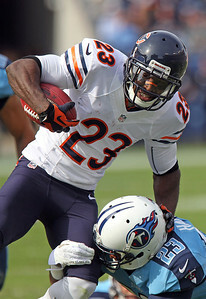 H. Rick Bamman - hbamman@shawmedia.com The Bears' Charles Tillman (right) forces the Titans' Chris Johnson to fumble as Lance Briggs comes into assisit in the first quarter Sunday November 4, 2012 in Nashville. H. Rick Bamman - hbamman@shawmedia.com Bears Charles Tillman rides a stationary bike during the game with the Titans in Nashville Sunday November 4, 2012. 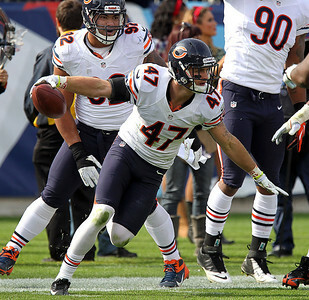 H. Rick Bamman - hbamman@shawmedia.com The Bears' Chris Conte celebrates as he recovers a fumble by the Titans' Chris Johnson late in the first quarter Sunday November 4, 2012 in Nashville. 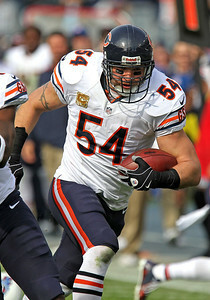 H. Rick Bamman - hbamman@shawmedia.com The Bears' Brian Urlacher returns his interception for a touchdown in the first quaerter against the Titans Sunday November 4, 2012 in Nashville. 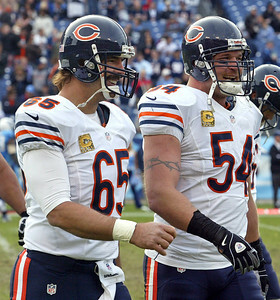 H. Rick Bamman - hbamman@shawmedia.com The Bears' Patrick Mannelly (left) and Brian Urlacher have wide smiles as they walk back to the sidlines Sunday November 4, 2012 in Nashville. 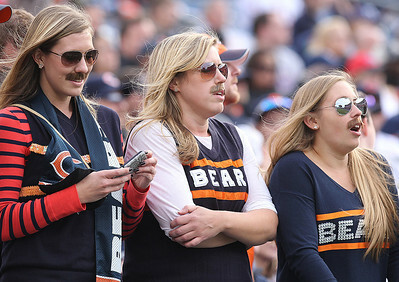 H. Rick Bamman - hbamman@shawmedia.com Bears' fans Resi Ertler, Rebecca Ash and Leeann Hupfer all of Chicago sport Ditka moustaches at the game with the Titans in Nashville Sunday November 4, 2012. 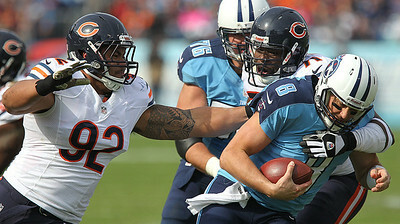 Bears Jay Cutler scampers away from the Titans' Derrick Morgan in the first quartrer Sunday November 4, 2012.